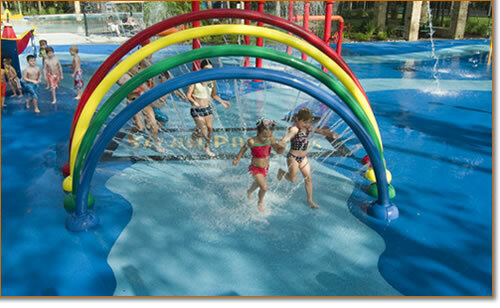 SplashPad Texas® at Legends Ranch includes numerous amenities. 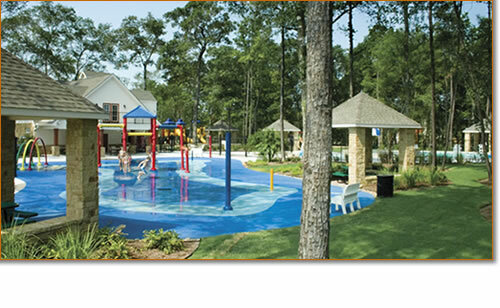 These amenities include a beach-entry splash pool with slide and spray features, children’s playscape, walking trails, basketball pavilion, and volleyball and tennis courts. 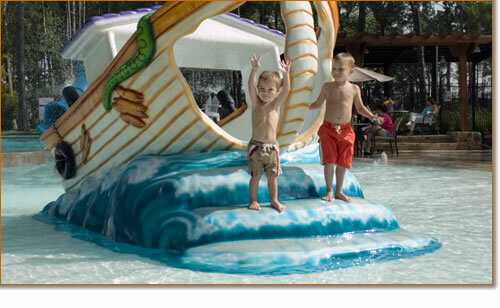 An onsite-manager is located at the SplashPad clubhouse. In the true fashion of family resorts, the Legends Ranch recreation center is the destination of choice when it’s time to unwind. The $1.5 million complex centers around a lodge-style clubhouse with a beautiful natural stone fireplace. Just off the large gathering room is a fully-operational kitchen with a pass-through serving bar leading to the pool area. A tour of the clubhouse grounds reveals a well-rounded group of outdoor amenities. Here you’ll find a Jr. Olympic-size pool, a toddler splash pool, children’s playground, jogging trails and an arbor that looks out onto the lake. It begins with a zero-edge entry, graduating to a 12” maximum depth. Young residents love its spraying centerpiece and waterfall umbrella––those looking on enjoy the cooling spray. Nothing beats a multi-level playscape for just plain fun and exercise. 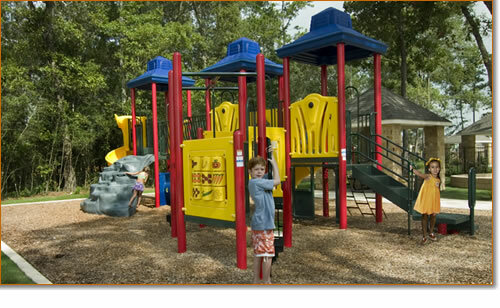 This sturdy play structure features, a zig-zag tube slide, wave slide and open spiral slide. There is also a mock rock-climbing wall and bridges that span the playscape. At the northern edge of the grounds is a vine-covered arbor for viewing one of the many lakes of Legends Ranch. Here, at the water’s edge, a vista unfolds, revealing a neighborhood full of enchanting features. Throughout the recreation park are benches and arbors for watching those at play or for quiet reflection. In addition to the full kitchen, there is a poolside cabana with a full size wet-bar and gas grill. Ceiling fans allow for cool poolside parties on those hot summer days.